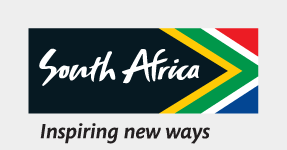 IIf you are looking to have all your desires met on your next break, South Africa is the perfect destination. With a rich cultural history, some of the finest wines in the world, gourmet food and enchanting adventures, let South Africa show you why it is a shining jewel of luxury travel. If it’s a slice of seaside heaven that you’re after, South Africa has a wide range of idyllic coastal escapes from expanses of clean, private beaches to the best coastal hotels and resorts. Find yourself luxuriating in a high-end coastal experience that will have you extending your stay. The Oyster Box Hotel is one of the most well known five-star hotels along the coast that has redefined the standards of opulence. This multi-award-winning hotel is known for its delicate food and well appointed executive suites that will have you feeling like royalty. Enjoy stunning views of the iconic lighthouse, as you gaze out your window over the shimmering Indian Ocean. NNestled between Cape Town’s working harbor and the hustle and bustle of the Victoria & Alfred Waterfront, the Cape Grace is one of the most popular hotels for tourists visiting South Africa. The ultimate in luxury. When we talk about luxurious outdoor experiences, we talk about late-afternoon game drives led by a team of professional game rangers and “glamping” (glamorous camping) under the African stars, all while drinking some of the finest wines in the country alongside exquisite meals by gourmet chefs. And all of this while experiencing the exhilarating South African wild. TThere is also the glamorous option of settling down for the night in luxury tented safari camps. Designed to make you feel like royalty in the South African wild. These luxury safari tents are usually kitted out with a private bedroom, bathroom and polished veranda overlooking the raw wilderness that South Africa is so famous for. If this lifestyle is an experience that makes your heart flutter, you can learn more about South Africa’s famous tented safaris. If you’re in Johannesburg and looking for a little extravagant retail therapy, the first place you’re going to want to explore is Sandton, proudly known as the continent's richest square mile. You can shop your heart out for international brands such as Versace, Louis Vuitton and Carrol Boyes to name a few, and then unwind with a cup of the world's best coffee and a meal at a fine restaurant. For a more sociable environment, you can grab a cocktail at one of the city’s rooftop restaurants that offer live music, lounge sitting and fire pits overlooking the glittering CBD. The Cape Winelands are the end result of exquisite landscapes and exceptional wine farms offering exquisite food and some of the worlds best wines. Immerse yourself in this region with most of the wine estates offering luxurious accommodation or fine dining. If you’re a bit of a connoisseur then you are in for a treat. Explore this famously decadent region in all its opulent glory. You might want top quality but you also want to explore the country. Well, there’s no better place to tick both these boxes than on one of the top luxury trains in the world – the Blue Train. What can beat the feeling of going to sleep with a Karoo moon in the sky and waking up to a pot of fresh coffee, surrounded by the Cape vineyards as the Blue Train makes her stately way into the Mother City? With incredible cuisine, luxurious accommodation, on-board shopping and even business meeting rooms, you can see the country in ultimate style with routes that cover almost every corner of South Africa.